Just kidding. There's no airport in San Marino. 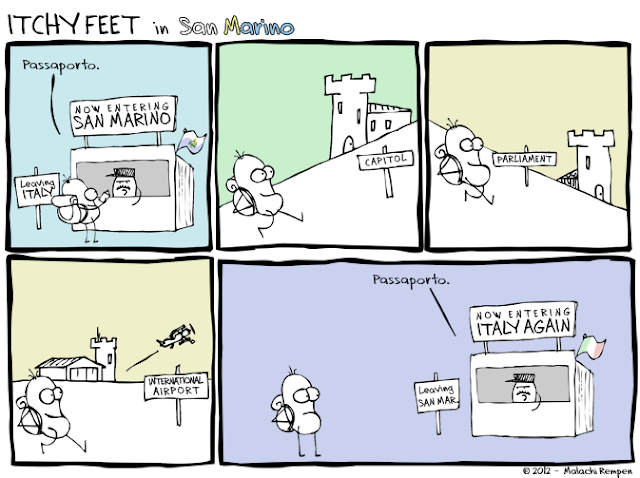 San Marino is a little patch of land organized as a shelter for Italian tax evaders.